The Anti-Age Cleansing Milk nourishes the skin while gently removing make-up and impurities. 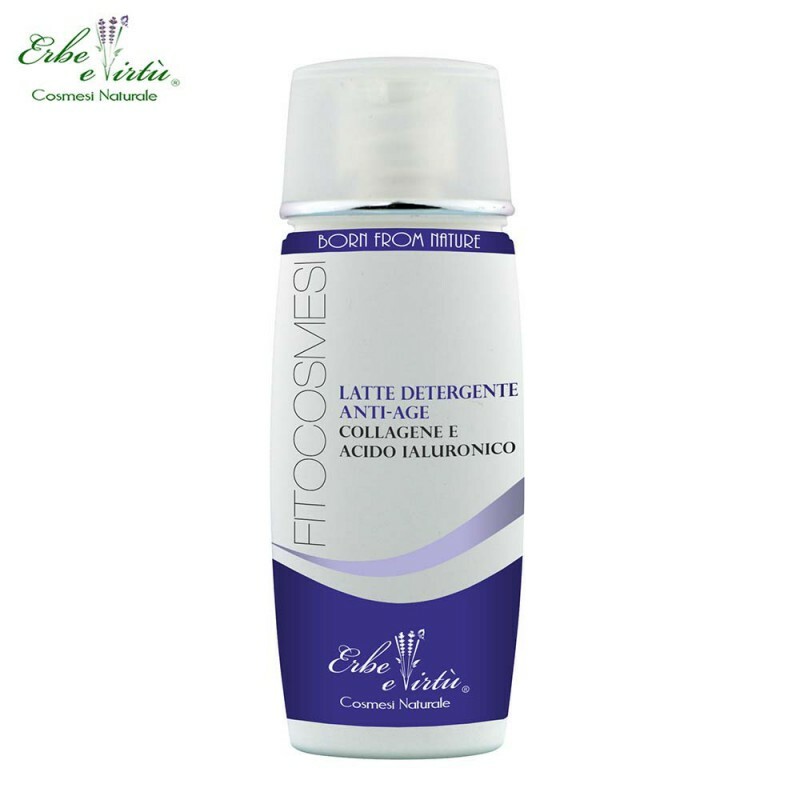 Suitable for mature skin, with wrinkles, tired and presenting the first signs of aging. It helps to keep the skin supple, compact and well hydrated. Hyaluronic acid; Collagen; Sweet Almond Oil; Avocado oil; Achillea extract; Calendula extract; panthenol; Wheat protein; Vitamins.